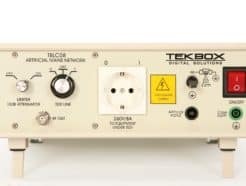 If you need to troubleshoot or make some accurate pre-compliance measurements for DC conducted emissions, this very cost effective LISN (Line Impedance Stabilization Network) can help you to avoid very expensive lab time. 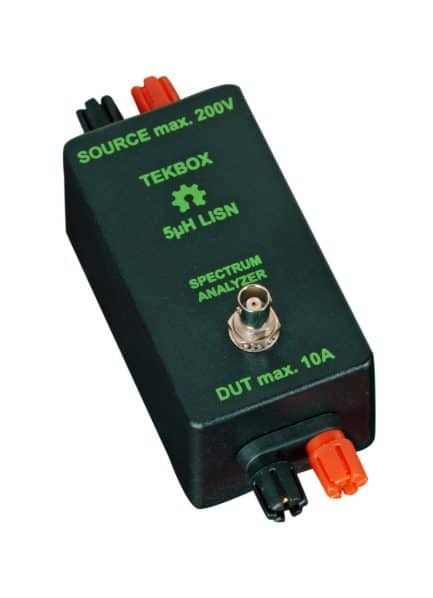 This particular LISN is designed for testing according to the CISPR25 standard which means it’s designed to measure emissions in the 150 kHz to 100 MHz band. The series impedance is 5µH.